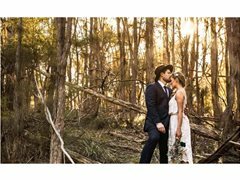 Looking for couples to take part in a wedding shoot in Byron Bay shire. The shoot will take place in some of Byron's most beautiful places, from beaches to hinterland. All photos taken will be used for promotional purposes and couples will get a copy of all edited photos. Looking for happy bubbly female, eager to take part in photo shoot. If you have a dress suitable for a wedding shoot please bring that along. Looking for happy bubbly male for groom role. Facial hair, stubble, beard, clean shaved etc etc. Any one who is keen to take part really.